Great choice! 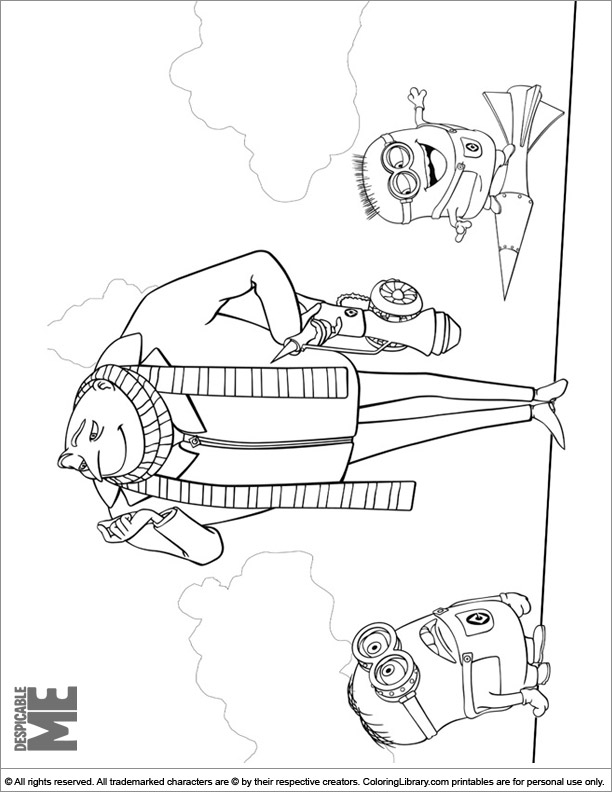 You will love to color this Despicable Me free coloring sheet. A great way to decorate this picture is to use your markers, paint, crayons and imagination. Staple the Despicable Me free coloring sheets together with more coloring pages or put them in a binder and create your own Despicable Me coloring book! Coloring activities will help your kids to hold the writing tools the correct way and will help to improve their handwriting.